Today, energizing Mars in pioneering Aries also encounters some formidable resistance resulting from its square aspect to taskmaster Saturn in Capricorn (6:16 am). Slowing down and approaching matters more carefully and thoroughly may be in the cards now, especially if we’re getting clear indications that something’s amiss. We also may need to simply disengage ourselves from some projects, for a while, and decide later, when we’re perhaps more inspired, what our next power moves should be. The last time that pioneering Mars in Aries squared Saturn in Capricorn, the sign of regulations and government, was back in July of 1990, forming an exact square on July 1st. On that very same day, East and West Germany merged their economies, a very historic event, as that was the first time ever that a capitalist and socialist economy had suddenly become one. Of course, since something like this had never happened before, it took a good while to get all the procedural kinks worked out. Kinda what you’d expect with the more challenging Mars-Saturn imprint. Famous January 21 Birthdays: Geena Davis, Placido Domingo, Grigori Rasputin, Jack Nicklaus, Christian Dior. 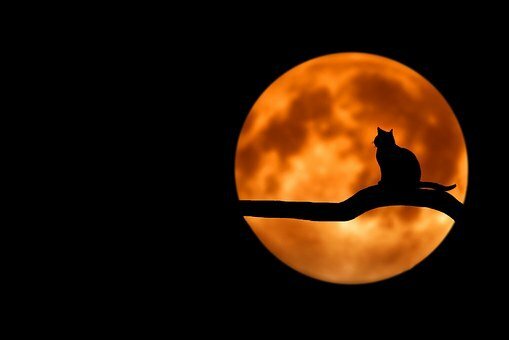 Happy Supermoon Blessings to you! Let your light shine bright! As we count our many blessings this Thanksgiving Day, Saturn in Sagittarius is exactly squaring Neptune in Pisces, the first of three meet-ups that will be occurring over the course of the next year. This aspect has actually been building for a few weeks already. Saturn represents “form” or the “material world,” or what many describe as the “power of manifestation.” In addition, it denotes such things as discipline, experience or maturity, authority figures, achievement, and conservation. On the shadow side, it is a marker of our fears. Included here might be Saturn acting as the official scorekeeper of all that divides us, or makes us feel alone in the world. Neptune, on the other hand, symbolizes “formlessness,” or the “dissolving of matter,” or what some might regard as the “invisible realm of spirit,” which, for many of us, can be a much more ambiguous concept to grasp or relate to. At its finest, Neptune is associated with such things as faith, hope, unity, compassion, and idealism, and as the higher octave of Venus, “divine love,” – or “unconditional love,” if you prefer. It also governs vision and the power of our imagination. Neptune can also, on the shadow side, be the face of such things as escapism, addiction, trickery, or deception. The “square aspect” is an alignment that forces us to take action on a matter, as a way of resolving something. So, in this case, we may be deciding, among other things, on whether to be fearful, anxious, or suspicious (Saturn) – or whether to have faith or trust (Neptune). Or, maybe we conclude that it’s not an either or situation at all: that we can feel the fear, the angst, the pain, but still extend the olive branch anyway. Or, maybe if we’re unhappy with our work (Saturn), instead of walking in and quitting in haste (Neptune), we step back and see if we can evaluate the reasons for our dissatisfaction; be more structured or strategic (Saturn) in our approach. Saturn-Neptune together tends to make us, in general, more starkly aware of our perceived limitations or drawbacks (Saturn), but the issue is whether or not we are going to let them define who we are. And, whether or not we are going to let them hijack or ride roughshod over our dreams or vision (Neptune), or destroy our idealism. Sometimes, too, when both of these planets pair up, we’re at a definite crossroads, in our lives, and basically unsure of which way to turn. Neptune does, after all, denote foggy conditions! So, it could be that the square energy might be a perfect time for us to just kick back and push the pause button a while, to lay low on our earthly agenda (Saturn), to grant ourselves a well-deserved time out (Neptune), until we’re better able to see our way ahead. It’s possible that some of the visions that we’ve had for ourselves, some of the big dreams, are no longer really a go for us, no longer a viable option, and we have to face the music and quit kicking the can down the road. Or, we may decide instead that some dreams are salvageable, but that we need to maybe, at least for the time being, narrow the scope of them (Saturn), or do some creative re-configuring (Neptune), so as to not feel overwhelmed by our present situation. Kind of like when you have a cluttered house, if you at least restore order to part of it, you normally immediately feel better. Happy Thanksgiving! Wishing you many blessings your way. Communicator Mercury is conjunct “focused” Saturn in “philosophical” Sagittarius (11:57 pm EST), an aspect that is normally regarded as excellent for our power of concentration as well as ideal for filling in the details of any long-range planning. Albert Einstein, a Pisces Sun, had this same aspect in his natal chart, but in pioneering Aries. In fact, it was the closest aspect, in his chart, with the conjunction occurring only one degree apart, suggesting that this planetary pairing would have a defining impact upon his thinking and general behavior. Mercury-Saturn is also thought to correlate with more of an aptitude for science, math, research, and critical thinking in general. Because cautious, serious Saturn symbolically represents the principle of contraction, sometimes with this Mercury-Saturn energy we also tend to “trim the fat from our words” choosing to be as precise or succinct as possible in our speech or writing. Of course, with this conjunction occurring in “voluminous” Jupiter-ruled Sagittarius now, we may not be as parsimonious with our words as might be expected! At the very least, however, this may be a very good time to scale deeper with our thinking, to become keener observers of the world around us, or to hone or develop our listening skills. Because Saturn also symbolizes our fears, worries, or concerns, Mercury-Saturn can also find us pondering “worst case scenarios.” Benjamin Disraeli once mused about this type of thinking this way: “I am prepared for the worst (Saturn), but hope for the best (Jupiter).” Additionally, on the shadow side, Mercury-Saturn can trigger more judgmental behavior, as well as an intolerance for views that are different from our own. Enterprising Mars in “balancing” Libra is also sextiling Saturn today, an aspect that is linked with sustained effort, industriousness, and planning for tomorrow, sort of akin to a farmer diligently sowing seeds for future crops. Too, with Mars in “collaborative” Libra, it can indicate a positive period for formulating or arranging diplomatic or cooperative strategies. Questions for Today: What topics are more difficult for you to talk about, and why? Where in your life do you maybe need to let go of judgments? What might you need to say “no” to now as a way of loving self-care? Famous November 24 Birthdays: Zachary Taylor, Scott Joplin, Stephen Merchant, Ted Bundy, William F. Buckley Jr.
Every day, each of us wrestles with “hanging on or letting go” in myriad aspects of our life. While we’re not always sure which route to take here, being clear about our values and the personal vision for our life, is normally a good starting point from which to begin to wade through this process and to move on, especially if we are to be true to ourselves. Today, with the illuminating Sun opposite purging Pluto, a once a year occurrence, we tend to be more focused upon those issues that we intuitively know we need to get rid of, that have been weighing us down, where we’ve been holding on perhaps too tightly out of fear, or out of concern of a loss of control. Writer Dan Brown, author of The Da Vinci Code, says that men go to far greater lengths to avoid what they fear than to obtain what they desire.